Adding data to the Secret Chiefs 3 discography. "Live At The Great American Music Hall" got released in 2009. Live at the Great American Music Hall captures Secret Chiefs 3 in concert with what many consider to be the best of their many lineups in 14 years of playing. Shot in 2007 at one of the band's favorite haunts, this DVD does justice to a group whose live energy usually exceeds the recorded medium. Renowned for their ultra-elaborate CD productions, Secret Chiefs 3 has also garnered a reputation for the power and immediacy of their live shows. Their fanbase has swelled in recent years and grown accustomed to this live incarnation (the Secret Chiefs 3 bootleg scene is thriving), and they demand an official release! Not just some audience-hand-cam and stereo-mic-job thing, this DVD boasts a pro six-camera shoot with live sound mixed by Billy Anderson, with the multi-channel outs mixed for DVD by Trey Spruance and Randall Dunn (producer of Earth, SUNNO))), Kinski, Wolves in the Throne Room, etc). And it comes with a really nice six-panel gatefold digi-pack with original artwork. At the show, Secret Chiefs 3 performs a set of both familiar and as-yet-unreleased music. The line-up includes Ches Smith (Xiu Xiu, Marc Ribot's Ceramic Dog), Shahzad Ismaili (who also plays with Graham Haynes, Laurie Anderson, and Tom Waits), Timb Harris (Estradasphere), Rich Doucette, Peijman Kouretchian, and Jai Young Kim. Live at the Great American Music Hall also has an award-winning and seriously dimensionally altered 80-minute stop-motion animation feature film directed by Tawd Dornfeld that uses Secret Chiefs 3's live show as a soundtrack. I finally managed to get the data for Bert Dockx's "Transit" album in the Archives. Solo guitar. And some vocals. 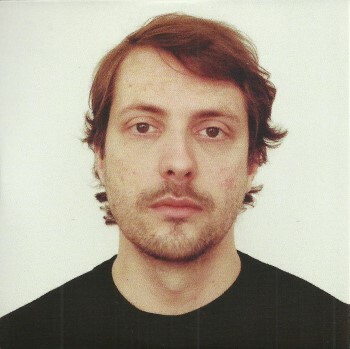 Bert Dockx is the composer / guitar player for Flying Horseman and for Dans Dans. He will be touring with his most recent OTTLA project later this year. In the meantime, I'm happy to hear "Transit". 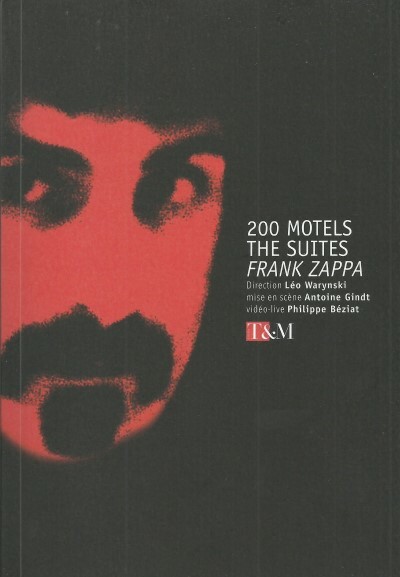 Next to the previously mentioned libretto for "200 Motels, The Suites", there's another two Zappa books about to surface. 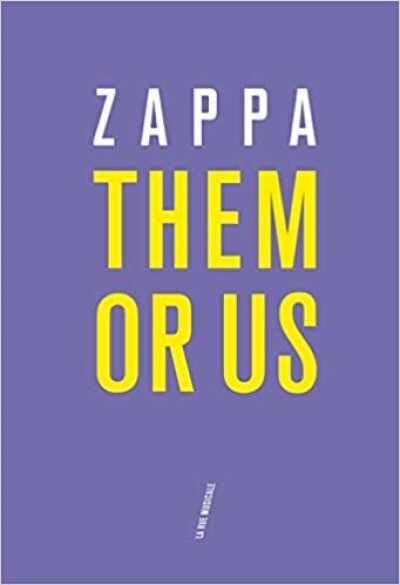 The French version of "Them Or Us" got released last week and should be available at the forthcoming Paris concerts. And there's a Dutch book scheduled for release in November. Written by Peter Sijnke and entitled "Zappa - Controversieel Componist". Next to the very informative program booklet that was distributed during the concert, there was also a beautiful book for sale. About 90 pages with the complete libretto in French and in English, plus some black and white pictures. Now here's a nice surprise !! 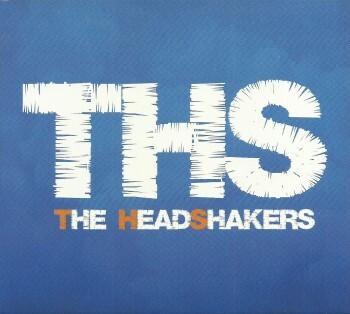 The Headshakers released their first album in 2015. Before this album, however, the band already released two EP's. The second one, "We Jazz We Rock We Funk" can also be found on Bandcamp but it's also still available on compact disc. Three funky tracks, AND a hidden track : a superb version of Frank Zappa's 'I'm The Slime'. In French. Love it. "Invisible Quality", the new album by Pierre Vervloesem and Alinovsky, is available from the Off Records label. 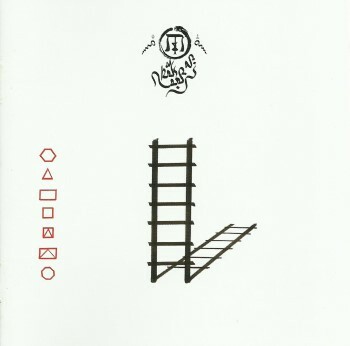 Altin Gün just released 'Cemalim / Vay Dünya' on 7" on the Les Disques Bongo Joe record label. On his latest release, "Inhale Slowly And Feel", Kloot Per W recorded a number of Velvet Underground tracks. Former Zappa drummers Vinnie Colaiuta and Aynsley Dunbar contributed to the "Spin The Bottle" Kiss-tribute album that got released in 2004. The album will get a new package and a new title plus a bonus DVD and will be re-released as "Pure Fire". 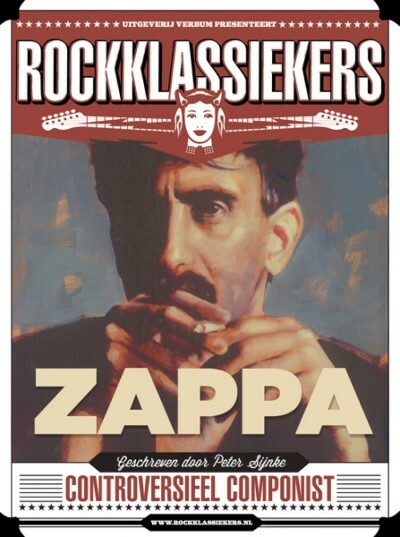 The Headshakers added the rock sound to the recent symphonic concert of Frank Zappa's "200 Motels, The Suites" in Strasbourg, France. Their name had already crossed this blog as they did a short tour with Napoleon Murphy Brock in 2016, performing the music of a certain FZ. Reason enough to take a copy of their album home. "THS" presents an incredible funky band. 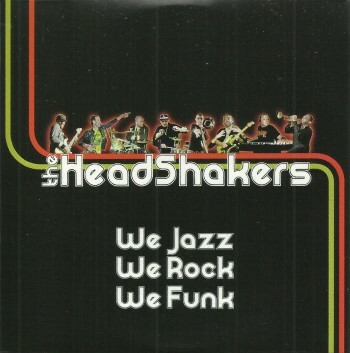 The title of the second track (and of their previous EP) says it all: We Jazz We Rock We Funk. If you're into the music of the JB Horns or Candy Dulfer, this will be right up your alley ! Funky horns and a distorted guitar... What else do you need? If you're going to the Paris performance of "200 Motels, The Suites", be sure to buy a copy of this album ! Or check out their website or bandcamp page. The fifth edition of Mosae Zappa is scheduled for November 23 and 24, 2018. It will take place at 'De Oefenbunker' in Landgraaf, NL, close to the Belgian and the German border. 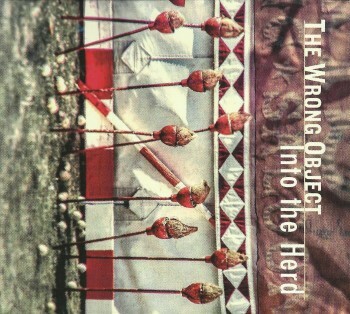 The Wrong Object is about to release two new albums : "Zappa Jawaka" and "Into The Herd". "Zappa Jawaka" will be presented during the next edition of the Mosae Zappa Festival, November 23/24. 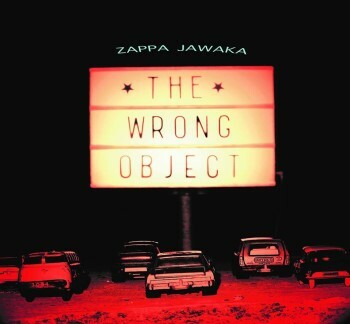 The Zappa tribute album, mixed by Pierre Vervloesem !! Contrary to previous performances that I had attended (Holland Festival in Amsterdam, Arf Arf Arf in Antwerp, The Rest Is Noise in London), the Strasbourg event was more brought as a play, as an opera as it were. The story was 'performed' by the vocalists and it got emphasized by a big screen that made it all very visible. The musical part was simply amazing. Vocals in front of the mix, rock accents by The Headshakers, powerful vocals by the Les Métaboles choir, and symphonic energy by the Orchestra and the Percussion Ensemble. Audience recordings on Dime and on Zappateers. And next weekend live in Paris ! Thomas Nordegg’s “Super Strat” Signed by Over 100 Guitar Gods! 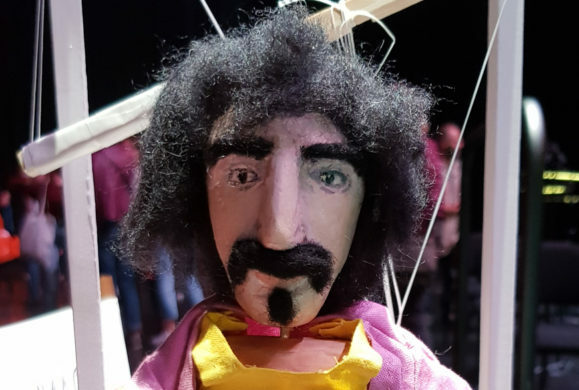 Frank Zappa's "The Yellow Shark" to be performed during the Biennale di Venezia festival. Open to a “more up-to-date interpretation of the concept of contemporary”, following the thought of Director Ivan Fedele, and dedicated to the musical influences between Europe and the Americas, the 62nd International Festival of Contemporary Music, titled Crossing the Atlantic, will take place in Venice from September 28th to October 7th. The Yellow Shark by Frank Zappa, the Golden Lion for Lifetime Achievement to Keith Jarrett, María de Buenos Aires by Astor Piazzolla, Aliados by Sebastian Rivas, the Victor Wooten Trio are just some examples of how every type of music can be enriched by the experience of another, can absorb its lesson and return it in new form. Performed for the first time in 1992 at the Alte Oper in Frankfurt, Frank Zappa’s masterpiece The Yellow Shark inaugurates the 62nd Festival in its complete version with the 26 elements of the Parco della Musica Contemporanea Ensemble conducted by Tonino Battista and the participation of David Moss, one of the most original vocalists in the world, who has previously performed Zappa's work. 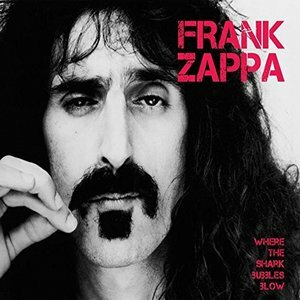 The Yellow Shark is considered the highest synthesis of Frank Zappa’s creative intelligence, the expression of a musical thought that ranges freely across all genres, capable of merging orchestral score and improvisation, experimental rock and academic avant-garde, performance and interpretative detail. There will be lots of things happening in Paris during the Zappa Weekend on September 28, 29 and 30. Don't forget that you need a reservation for the symposia (Friday and Saturday) and for the Stupor Mundi screening ! It's free entrance, but you need to reserve. Ike Willis and Bunk Gardner will participate, as will Ali N.Askin. A 42-minute piece by Hardy Fox. 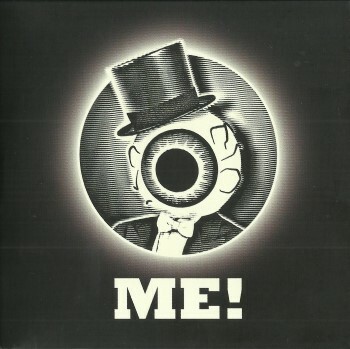 The 180 GS recorded an a capella version of the entire Residents' "Commercial Album". Due out later this month on the Klanggalerie record label. Hi from, me, Hardy. Yes got sick, making my pass out of this world, but it is "all" okay. I have something in my brain that will last to a brief end. I am 73 as you might know. Brains go down. But maybe here is my brain functioning as I'm almost a dead person just a bit of go yet. Doctors have put me on drugs, LOL, for right now. Anyway. Probably the last of seeing me. Thanks for checking in. Thanks for the fine music, Hardy !! 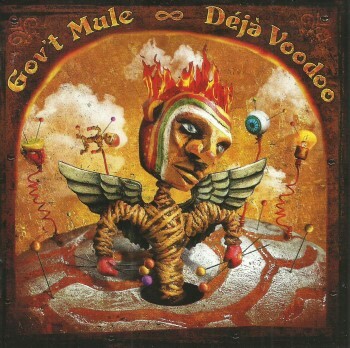 In 2005, "Déjà Voodoo" announced the new line-up of Gov't Mule. Warren Haynes and Matt Abts were joined by Danny Louis (keyboards) and Any Hess (bass) on a permanent basis. 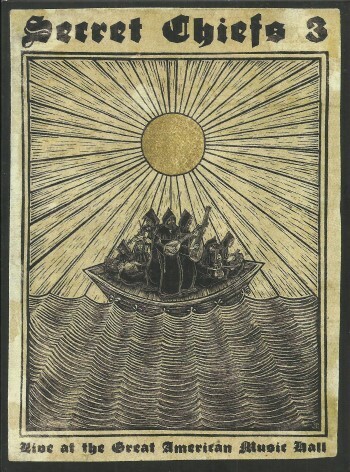 "Déjà Voodoo" has seen a couple of different editions. The one that I have is a 2CD set with a 5-track bonus album "Live In Chicago". Beautiful. 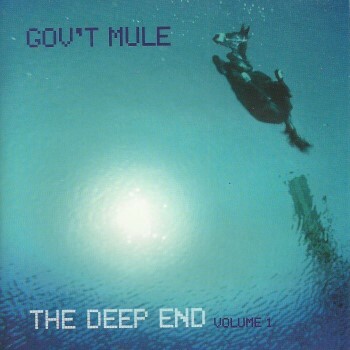 Anyway, a soulful album by southern rock jam band Gov't Mule. I caught Shishani and Namibian Tales performing "Kalahari Encounters" at the Plusetage in Baarle Nassau, NL, a couple of months ago. Here's another snippet. This time from the Afrika Festival in Hertme, NL. 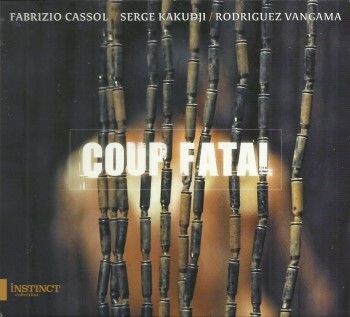 On "Coup Fatal", Fabrizio Cassol (musical direction) added Congolese countertenor Serge Kakudji to 13 traditional musicians from Kinshasa to perform a number of baroque inspired compositions. Los Visionarios released a new album : "Siquiatria Elemental". Next Friday in Strasbourg, France. There are still tickets available !! Spoonfish will be releasing another track from their upcoming album. 'The Hammer' is a stomping blues rock ditty that features Craig 'Twister' Steward on harmonica. You might know Twister from his contributions to Frank Zappa's "Joe's Garage" and "The Man From Utopia". 'The Hammer' got recorded at the Spoonfish Studio in Amsterdam and was mastered at SoundLAB in New Jersey, USA. It will be released through all digital platforms on September 30. Next to the CD and the digital download edition, Carl King's "Guns 'A Blazin' " has been released on 10" vinyl. After two EP's ("Demos" and "Two Coins"), here's the band's first album !! Brand-new release by Phoenician Drive. Allen Woody, bass guitar player for The Allman Brothers Band and for Gov't Mule, passed away in 2000. With "The Deep End Volume 1" Warren Haynes and Matt Abts paid their respect to Allen who had been Gov't Mule's bass guitar player since the start of things : they recorded several songs with bass players that Woody had admired. Jack Bruce, Larry Graham, Mike Gordon, Flea, Mike Watt, Roger Glover, John Entwistle, Willie Weeks, Crhis Wood, Oteil Burbridge, Stefan Lessard and Bootsy Collins all contributed. Plus guest appearances by Jerry Cantrell, John Scofiels, Gregg Allman, Derek Tucks, and many more. Adding data for another fine album to the United Mutations Archives. Dog Eat Dog recorded Frank Zappa's 'Why Does It Hurt When I Pee?' and released it as an extra track on their 1994 "If These Are Good Times" cd single. 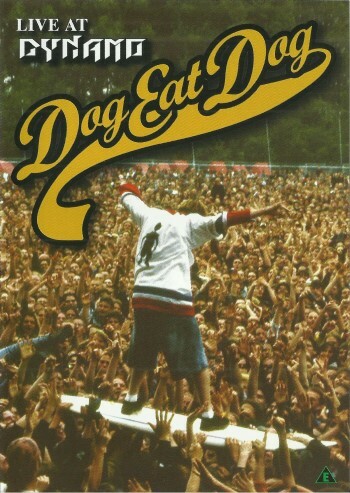 The track got re-released on a couple of samplers, but there's also a live version available as their 1995 concert at the Dynamo Open Air Festival got released on DVD in 2005. Here's the 1994 'If These Are Good Times' single. Bert Dockx (Flying Horseman, Dans Dans) has a solo album out. I've only heard this one track, but I love it. I am pleased to say I have been invited to be part Steve Vai's 52 hour Jamathon charity event. I will be jamming from noon to 1pm on Saturday, 09/29/18 with Steve and other fine players at Musician's Institute in Hollywood. Should be a ball - I haven't seen Steve for years! 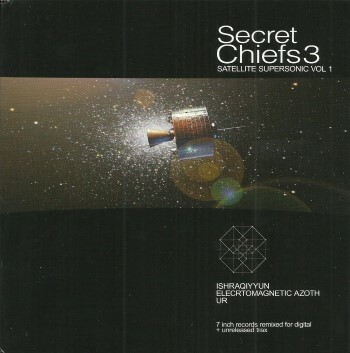 Listening to experimental collective Secret Chiefs 3 always is an adventure. Led by Trey Spruance (Mr Bungle, Faith No More), the band records an tours with different line-ups and even under different names. The 2010 album "Satellite Supersonic Vol 1" is sort of a compilation. It collects material from different Secret Chiefs 3 ensembles (satellites) that had only been released on 7" vinyl. The exceptions: one different version, one unreleased track, and one track that had only been released on a sampler. The band will be in Ghent on November 9, 2018, to celebrate "John Zorn 65". Take a look at Mattias' t-shirt !!! Mattias explains how he uses Konnakol for all his crazy rhythms. I have been enjoying the digital download of this album (the audio version) for quite some time but that hadn't prepared me for the beautiful package and the excellent DVD that's part of it. The album of the year can now also be enjoyed visually. Out on the Morgan Records record label. 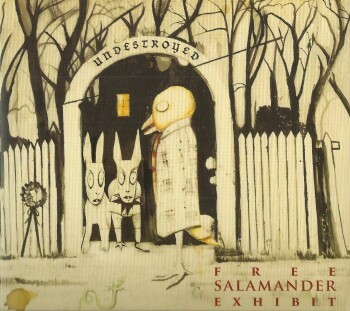 Free Salamander Exhibit continues where the Sleepytime Gorilla Museum left off. Experimental rock. Released on the Web Of Mimicry record label. In a fine tradition, on Halloween - October 31, 2010, Phish performed the entire Little Feat "Waiting For Columbus" album in concert. Generation Axe is Steve Vai, Zakk Wylde, Yngwie Malmsteen, Nuno Bettencourt, Tosin Abasi. Previously known as Phlitman and Kang, Intige Taluure have released a new album. Actually, it's their first one and it's called "Tiger! Tiger! Steer Clear Of Heaven!'. "After a few records and cassettes as Phlitman and Kang we decided to change our bandname to Intige Taluure, which is Scandinavian for something. Influences range from Beatles, Zappa, Residents and Shangri-Las to This Heat, WhaHaHa, Velvet Underground and B-52's. Home-made dadaist pop with lots of freedom and an adventurous spirit. It' s pop, jazz, rock, experimental...you name it. " 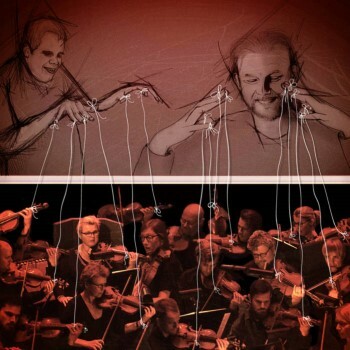 "Playing With Fire" is the debut live recording by Deep Energy Orchestra. This super-group showcases prog-phenom Trey Gunn (King Crimson) and Indian percussion master Selvaganesh (Shakti, John McLaughlin, Jonas Helborg) teaming up with composer Jason Everett (Mister E), 7-string electric violinist Radhika Iyer and a Seattle-based classical string ensemble. The official release date is October 16. 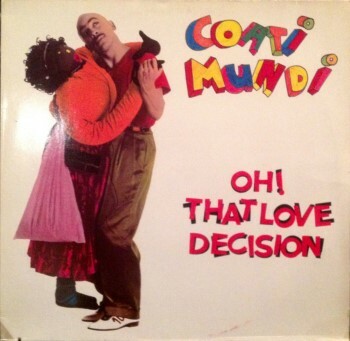 In 1983, Coati Mundi (of Kid Creole and the Coconuts) released his first solo album, "The Former 12 Year Old Genius". The last track on the second side was a mambo version of Don Van Vlliet's 'Tropical Hot Dog Night'. The same year, Virgin released a couple of singles from that album, one of which was "Oh! That Love Decision". The b-side of the 12"-version had an extended version of 'Tropical Hot Dog Night'. Here's an album that I discovered only recently and I'm very glad that I did. The Ex are a Dutch underground band that consists of Terrie Ex, Andy Moor, Katherina Ex and Arnold de Boer. Former memebers Luc Ex played the bass from 1983 until 2002 and GW Sok did the vocals from 1979 until 2009. The Ex started out as a punk band but evolved into an experimental / improvised music ensemble. Over the years, they have worked and performed with Mats Gustafsson, Han Bennink, Jaap Blonk, Han Buhrs, Tom Cora and Joost Buis, to name just a few. On a side note, Luc Ex (Luc Klaasen) started Rubatong after he had left The Ex. (Luc Ex, René van Barneveld, Zlaya Hadzic, Tatiana Koleva and Han Buhrs). They released one superb album (in 2011). 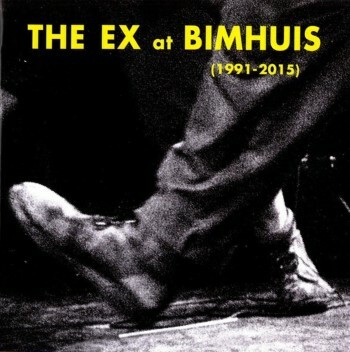 The "At Bimhuis" 2 CD set collects live material from performances at the 'Bimhuis' jazz club in Amsterdam, NL with material from 1991 to 2015. Disc two presents the Ex Orkest performing Don Van Vliet / Captain Beefheart's 'Suction Prints'. From a 2002 concert. 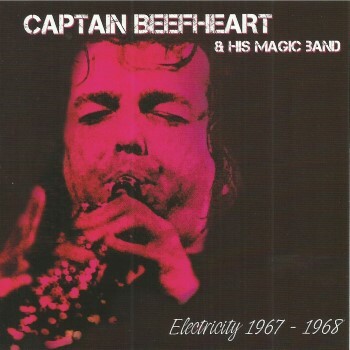 It proves (again) that one can encounter some great music while searching for bands performing the music of Captain Beefheart !! 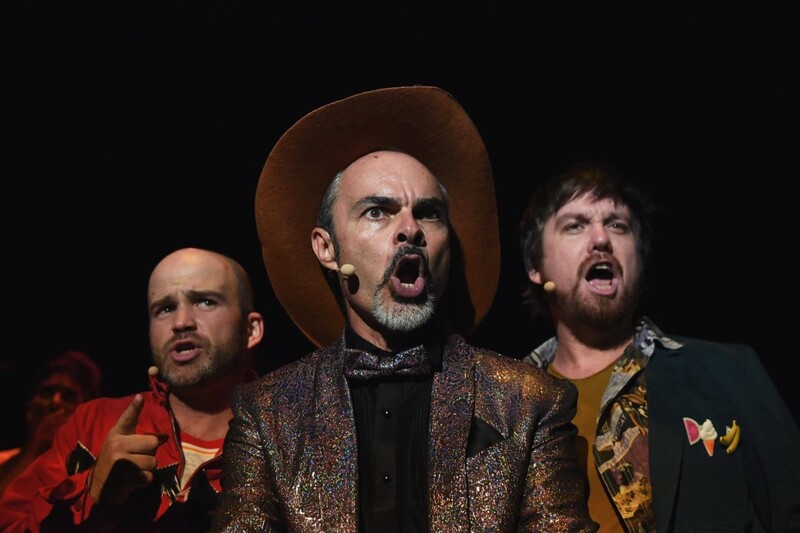 "This miniature rock musical was inspired by Frank Zappa’s original work,"Billy The Mountain". It follows Billy's (Willie) exploits after 1972. The premise of this musical was concocted by Eric Weaver and Nigey Lennon. The actual music was written to be performed by the Ed Palermo Big Band. That never happened, although Ed told us personally he thought the whole enchilada was great." 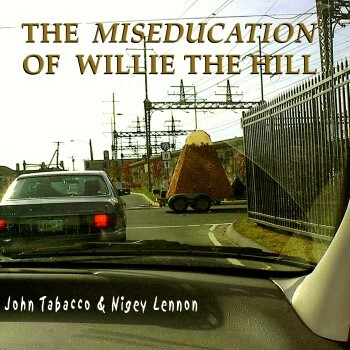 An excellent tribute to Frank Zappa's 'Billy The Mountain' by John Tabacco and the late Nigey Lennon. Featuring Candy Zappa, Ed Palermo (and a part of his Big Band) and Ike Willis. The Phish 1994 Halloween concert (of which the second set was the Beatles tribute) has been officially released by the band as "Live Phish Volume 13". I mentioned the "Unsurpassed White Album" bootleg yesterday. Didn't know that it was released by the band as well. "Excellent news that is, dear Padewan." 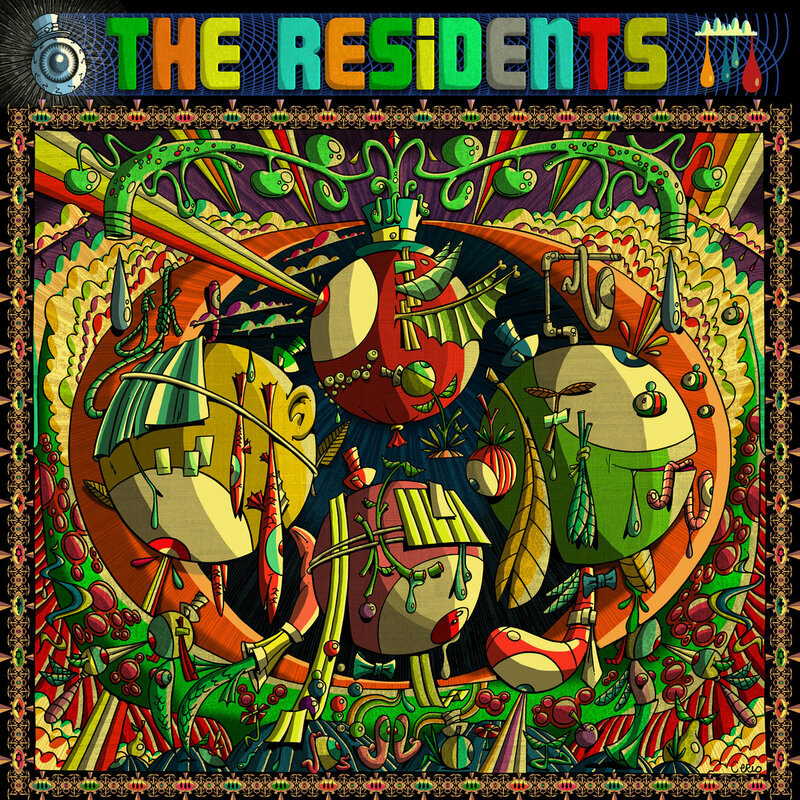 There's the one-disc-version that got released as part of the pledge campaign for "I Am A Resident" : 7 tracks / mash-ups of Residents songs. Then there's the 2 CD version. The regular version. This one got released about two weeks ago. CD 1 has the mash-up versions, CD 2 has the fan-versions that were used to make the mash-ups. Milan Hlavsa was part of Czech cult band Plastic People Of The Universe. Later, Milan started his Pulnoc project. 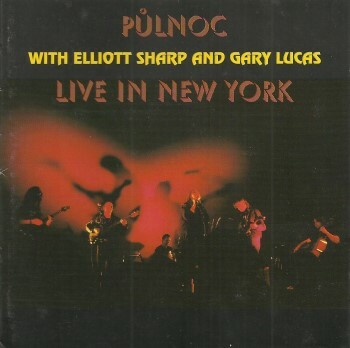 April 25, 1989, Milan took Pulnoc to New York City where they performed with special guests Eliott Sharp and Gary Lucas. Data has been added to the Gary Lucas discography over at the United Mutations Archives. 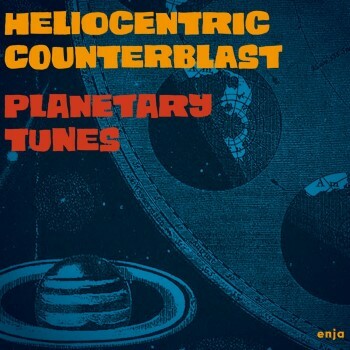 Composer, music teacher and saxophone player Kathrin Lemke was one of the driving forces behind Heliocentric Counterblast, a band that paid tribute to the great Sun Ra. Unfortunately, Kathrin passed away in 2016. She did leave behind two beautiful albums by Heliocentric Counterblast : the 2012 "A Tribute To Sun Ra" album, and the amazing "Planetary Tunes" album from 2014. Next to a fine selection of Sun Ra classics (including 'Saturn'), the octet also recorded a number of compositions by Kathrin Lemke : 'Mars', 'Pluto', 'Uranus' and 'Neptune'. You can imagine where Kathrin got the inspiration for this. Here's 'Discipline 27 II'. Goosebumps !! Jamband Phish has the habit of celebrating Halloween in a rather particular way. They don't dress up. They just pretend to be another band. Phish has done their Halloween version of Pink Floyd, The Who, Talking Heads, and more. They even thought about doing Frank Zappa's 'Joe's Garage' but for some reason that didn't happen. October 31, 1994, Phish performed an entire set of Beatles classics. 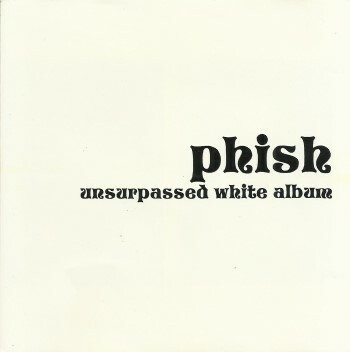 It got released on a 2 CD bootleg set shortly thereafter called "Unsurpassed White Album". Great stuff. Both for Beatles and for jam band fans. I'm still hoping they'll do an entire set of Zappa tunes somewhere in the future. Meanwhile, "Unsurpassed White Album" will do. Part two in Greyscale's re-edition of the "Grow Fins" box : "Electricity 1967 - 1968", which is an exact copy of disc two of the 4 CD Grow Fins set. Corrie van Binsbergen's website got a make-over. 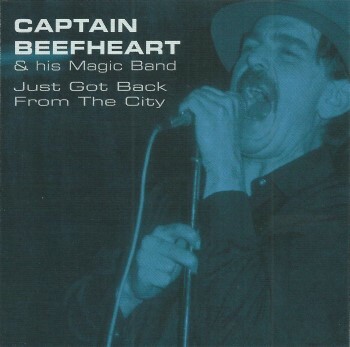 Last year, Greyscale released "Just Got Back From The City" by Captain Beefheart and His Magic Band. The album presents material from 1966 and 1967 !! If I'm not mistaken, Greyscale is some sort of division of Gonzo Multimedia. A rather obscure division. A quick visit to www.beefheart.com revealed that "Just Got Back From The City" is in fact a re-release of the first disc of the"Grow Fins" box set.